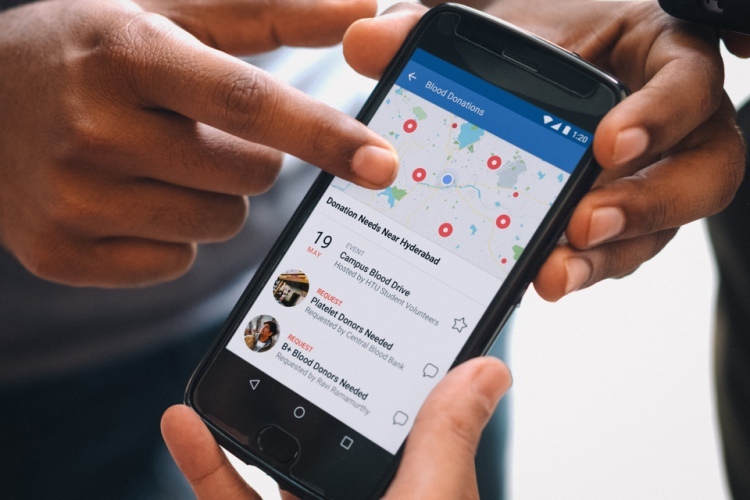 Announced as part of the Crisis Response feature at its F8 developer conference, Facebook has today launched the ‘Blood Donation Hub’ in India, Bangladesh, and Pakistan. This new central hub will enable the users to donate blood at nearby camps or help clinics, hospitals, and blood banks to find donors. 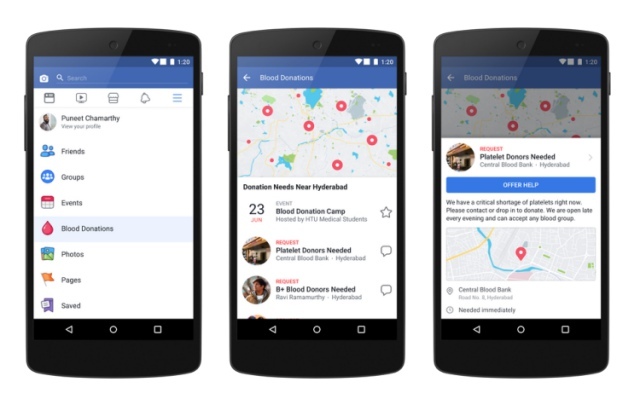 Facebook has unveiled the Blood Donation hub today to coincide with World Blood Donor Day. It has kicked off the program with 3 countries, where blood donation is quite common on the platform and over 11 million people have signed up for the service to date. Blood Donations on Facebook shows people opportunities to donate in their city, including nearby blood donation events, requests from blood donors and blood banks. We have also made it easy for organizations to add requests and events to the center. The social networking giant has partnered with organizations, including the National Blood Transfusion Council and Giants Welfare Foundation to host more than 2,000 blood donation events via the Blood Donation hub in June alone. Facebook has also vowed to organize World Blood Donor Day Campaigns around the country to make the citizens aware of blood donation – through stories of other donor and survivors. They’ll encourage them to step forward and donate blood as there’s a shortage of donors this time of the year. This feature is available to almost every Facebook user in India, Pakistan, and Bangladesh right now. You can head over to the “profile tab > See More” in the official app and select the ‘Blood Donations’ option to see nearby donation camps or visit this link to know more about this initiative. Also, you can check out Facebook’s official Blood Donation website if you’re interested in organizing blood donation camps in your locality.